The Takiwasi Center has been supporting for some years the project CIANAH: Indigenous Center for Support to Orphans and Abandoned Children. This project has been promoted by José Petsa, a young Awajún native, in the small town of Yutupis, Santiago River District, Condorcanqui Province, Amazonas, Peru. 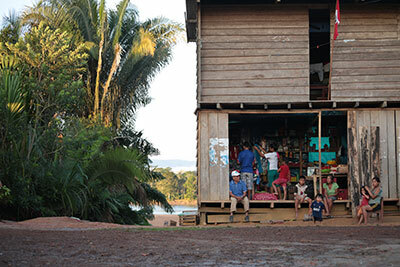 In the Awajún communities located in this remote area of the Peruvian Amazon forest, a large number of children are abandoned or orphaned from an early age for different reasons, among them the loss of sense of community due to contact with Western culture. The purpose of the work of the Indigenous Center for Support to Orphans and Abandoned Children - CIANAH, is to give shelter to these native children of the Awajún and Wampis ethnic groups, and support them in basic services such as health, education, food and clothing. The project also aims to promote values of solidarity, responsibility and justice among the indigenous population and toward the most disadvantaged children and the community itself, and to promote the expression of the cultural values and traditions of the Awajún and Wampis peoples. We recognize the value of José’s achievements, that include setting up a small orphanage in the middle of the Amazon jungle for the abandoned children or orphans of his tribe. He himself has been orphaned since he lost his father at the age of 11, and made to himself the personal promise, as an adult, to help children living in a similar situation. Since 2004 he has dedicated himself to this work in which, by his own means, he raises and educates a dozen children. 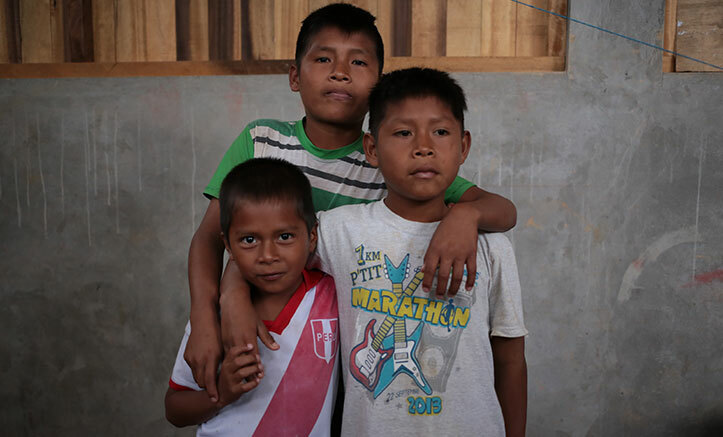 Several of them already finished high school and some moved to Iquitos to keep studying in universities or technology centers with the final goal of returning to their town and help their family and community. José is a character out of the ordinary, his initiative is unique and very brave, an example for other young natives. Therefore, we are committed to his side. In order to be able to carry out this project, CIANAH receives support from the Takiwasi Center and other friends who, being fascinated by the place and the project, have decided to give their small contribution to this initiative. The orphanage, aside from donations, also receives people interested in living a volunteering experience. If you wish to support this project, you can do so with a donation through one of the different methods that you find in the left column of this page. Thank you very much for your support! To learn more about this project, the children involved, how to get to Yutupis and the ways to support, you can contact directly with José Petsa. Please have a look at the following contact information.